Nurses are the largest occupational group in health care, making up almost half of the total workforce. In 1995 there were 421,000 nursing and midwifery staff out of a total health service workforce of 917,000 (ONS 1997). Numerical strength, however, does not appear to bring occupational power. 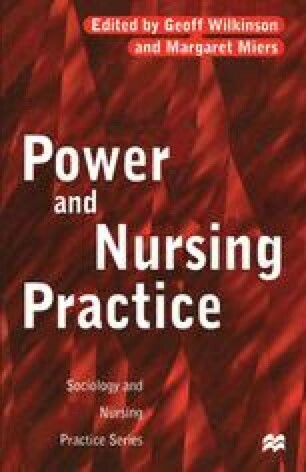 Within sociological literature, it is the subordination of nurses in, and lack of recognition of nursing’s contribution to, health care that has been seen as worthy of study (Ehrenreich and English 1973, Garmarnikow 1978, Carpenter 1993). In comparison with other professions in health care and beyond, individual nurses earn little, yet nurses’ labour costs are high.